The evil sinister Rebus has trapped the Myth Makers in the Orbs of Doom; you must complete his mind boggling challenges in order to save them. This quest will test your skill, tax your mind and your nerve. 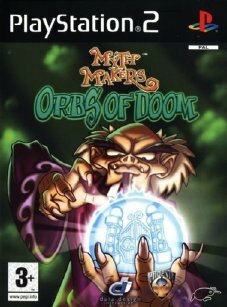 Myth Makers: Orbs of Doom provides madcap fun using a tilt control method, designed to fit the gestures and hand motions of the Wii Remote.